A Turkish intelligence agency has captured in Syria the chief suspect in the 2013 twin bomb attack in the border town of Reyhanli, Turkish media report. 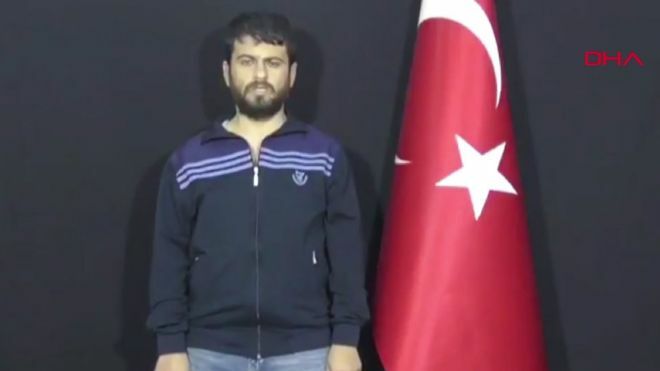 State-run Anadolu news agency said the National Intelligence Organisation had apprehended Yusuf Nazik, a Turkish citizen, in the port city of Latakia. He had confessed to "acting on orders from Syrian intelligence", it added. The Syrian government has denied that it played any role in the Reyhanli attack, which left 53 people dead. The Turkish and Syrian governments are fighting on opposing sides in Syria's civil war, with Ankara backing rebel forces trying to oust President Bashar al-Assad.